Confirmed Lecturers of the 2019 summer course are Professors Eric Bartelsman (Vrije Universiteit, Tinbergen Institute, IZA), Jan De Loecker (Princeton –on leave–, KU Leuven, NBER, CEPR), and Jo Van Biesebroeck (KU Leuven, CEPR). Eric Bartelsman is professor of economics at Vrije Universiteit and General Director at Tinbergen Institute. He holds a BS from MIT and a PhD from Columbia University. Prior to his appointment at VU in 2000, he served as economist at the Federal Reserve Board in Washington DC, as advisor to CPB Netherlands, and as Head of Economic Research at the Ministry of Economic Affairs in the Netherlands. In 2007 and 2008 he was a member of the Netherlands Council of Economic Advisors (REA), in 2012-13 he was non-resident Fellow of DG ECFin and presently he is Research Visitor at the ECB. His teaching ranges from first-year lectures to PhD seminars. 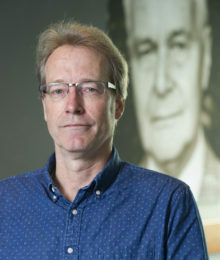 His research interests are in the area of productivity growth, both from a micro and macro vantage point, and have led to publications in top journals. Bartelsman is a fellow of the Tinbergen Institute and IZA Bonn. Jan De Loecker is Professor of Economics at the KU Leuven and Princeton University, a Research Associate at the NBER and a Research Fellow at the CEPR. He obtained his PhD in economics from KU Leuven in 2006. He was on the faculty of NYU from 2006-2008, before moving to Princeton University. He was a visiting faculty at Yale University and Stanford University. He specializes in the areas of industrial organization, international economics and development economics. His research is centered around measuring, and identifying the drivers of firm performance. In particular, he has put forward empirical frameworks to estimate productivity, marginal costs and markups, using micro-level production data. These methods have been used to study the role of technology, market power, international competition, in shaping the performance of individual producers, and industries and economies at large. He has published in leading journals, such as the American Economic Review, Econometrica, Journal of Political Economy, and various field journals. in 2016, he was awarded with an Odysseus Research Grant from the Flemish Research Council. He has advised various international agencies, such as the World Bank, on development and productivity issues. Jo Van Biesebroeck is Professor of Economics at the KU Leuven and a research affiliate at the CEPR. He obtained his PhD in economics from Stanford University in 2001 and worked until 2008 at the University of Toronto. He specializes in the areas of industrial organization, international trade, and development economics. His work on the automotive industry includes studies on the adoption of flexible technology, the automotive value chain, interaction between innovation and market structure, strategic trade liberalization, and outsourcing to low-wage countries. His work on international trade is increasingly focused on the Chinese economy and the impact of trade liberalization and quality upgrading by exporters. He has advised the European Commission and the Canadian and Flemish governments on trade and industrial policy issues; in 2009 he was awarded a European ERC grant.